Custard Pudding is Everywhere in Japan! 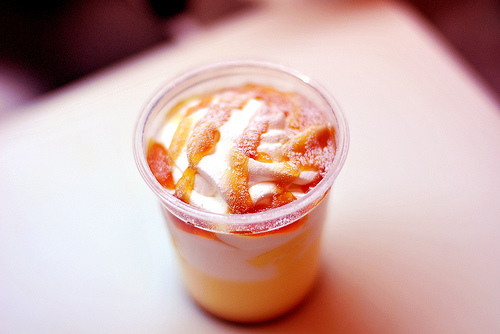 Japanese people love custard pudding! 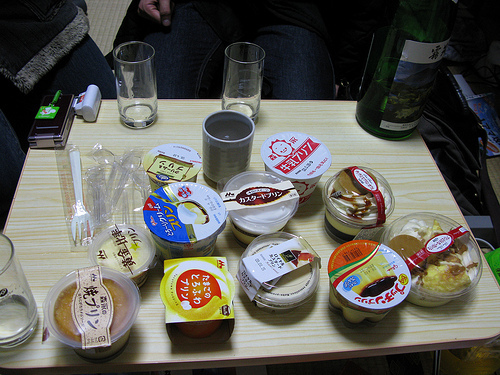 We call it “purin,” and have a wide variety of purin in Japan. Pastry shops and bakeries often have their original flavored purin that are made from brand-name eggs and milk or local specialties. 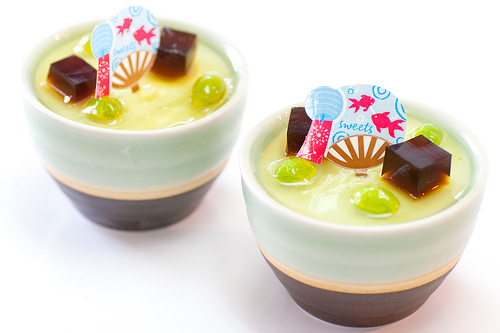 This purin is Patisserie TeenKarbel’s “edamame bean purin.” It is cute and very summery. 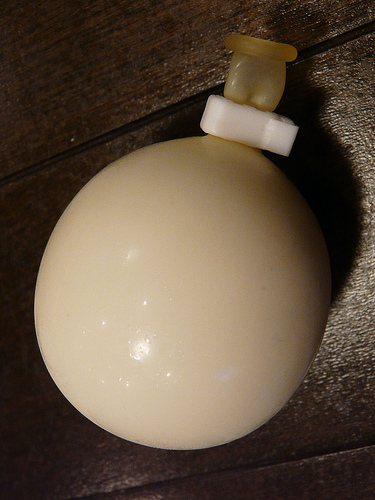 Balloon purin is a fun dessert. When you pop it with a toothpick, milk pudding comes out! At supermarkets and convenience stores, you can find different brands’ purin. Domremy’s “Torokeru Double Purin” is one of the popular convenience store & supermarket bought purin. It consists of milk pudding and custard pudding. 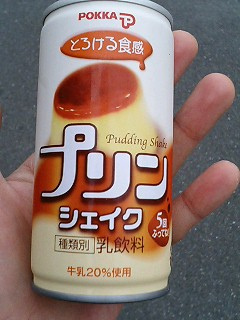 “Purin Shake” is for a quick dessert time. You have to shake it before eat (or drink) it, or it won’t come out. Purin flavored sweets and candies are also loved here. 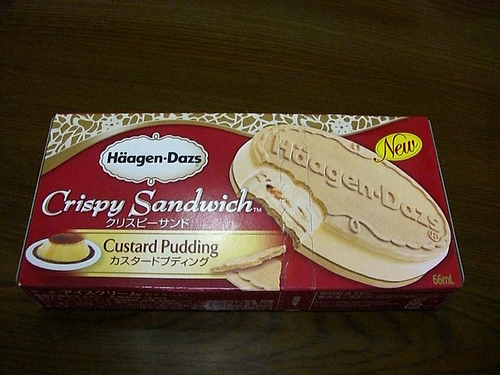 Purin flavored Haagen-Dazs ice cream sandwich. 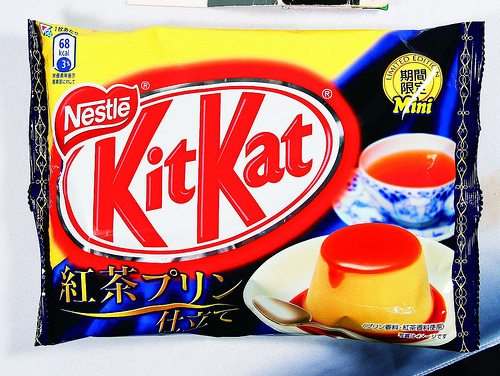 Black tea purin flavored KitKat. 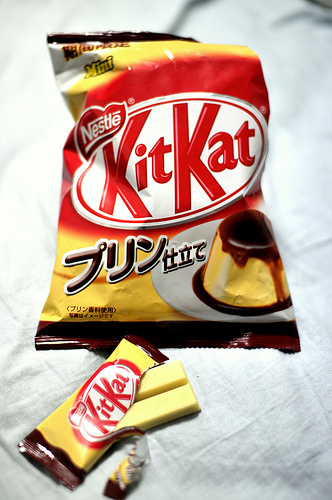 If you are interested, please read “Delicious x Unique Japanese KitKat” and “14 Photos of Japanese Haagen-Dazs’ Fancy Flavors” too.